ZuluTrade is no longer supported. January 7, 2014: FasaPay now Available for HotForex Clients. February 11, 2012: Add a listing for HotForex. what else is there to add. a very good broker. no complaints and pretty pleased with the services, manual trading mostly but do have a small fund in their pamm. Yes i guess you are right because i also have some investments in their PAMM services for the past one year and it is yielding some good profits. Please tell me if i could trade myself what should i have to do? Is trading with them easy too! acc# 212**8 this is my fourth withdrawal and its pure profit of 1200++ usd. received the next day, I am very pleased to make such profit after 4 month of trading live, all materials are really helpful and educational. Services are top notch, my total trading experience is a mere 1 year of so and this is my biggest profit and im really happy with it. Most of my trades are through hotforex, although i have accounts with two other brokers as well however i can say that this broker offers pretty decent spreads. The deposits and withdrawals are easily processed with no hassles at all. I usually initiate withdrawal request at the start of every week and it arrives before the weekend so i can safely say that this broker service is quite good in terms of money withdraws. The other systems like MT4 is good however mt4 does not requires any publicity becayse it itself comes from a very patent resource accepted world wide. I usually add my orders which are initiated on the required pricing, i add stop losses too and take profits with these trade orders. They are met on time with no requotes, so i think they are good. Good broker, good execution. trading made easy and I use skrill for withdrawals. thank you for support for answering all my inquiries, i made my first withdrawal in november and received it fast the next day. I am very pleased with the results. I am new to this broker, is this broker available for fast Withdrawal? Withdraw < 24 hours. Is it fast? I did withdraw < 5000$ several times. Very good broker, Im quiet satisfied with the results. made a big catch on the current dip in btc, crypto trading is the best. This broker PAMM could be among of largest PAMM broker where you can see multiple PAMM options and assets to trade. I have gone through many brokers and this broker are good in many aspects. Recommended! I trade in several brokers, on hotforex since 2010 .Has accounts that are adapted to the various types of investors, professional ib system, only a few gaps that could be improved (min payout to partner is 100 $, only lack there are no restrictions) Have a good trades Traders. ;). I have traded with several brokers and this brokef from 2015. I don’t take bonus and trade using my EA and earned consistently > 1000 a month and all withdrawal were processed quickly without hassles. It’s a reliable broker, recommened! the broker is actually doing better than expected, very stable and good platform both in execution a response time. and fast withdrawals, no complications what so ever and i think thats the main things traders look out for.. and there are many offers going on which i think is good. Good broker been with them for a couple of months! Deposits and withdraws all made it back into my accounts have had no issues! Great broker! Best customer service also. Multiple account & assets choices. They also provide free webinars for traders. Will keep trading with HotForex for many years to come. I have a small trading account with them since last one year and i also have invested some small funds in their PAMM as well. I was thinking to avail their bonuses too but couldn’t tried it as yet because with my own equity and available margin i am good enough to make extra income through trading. The platform is easy to execute order however small slippage can be noticed during NFP news time but that’s ok. Withdrawals are processed without any delays so i recommend them as safe broker to trade. I am trading PAMM with this broker for 2 months and the support was very dedicated in solving my PAMM questions. I invested $500 to a new but good performance account and the profit grew so well. Very good and fast broker, proper order execution, like their STP technology. They don’t reveal their LPs but it’s okay I’m satisfied with feed and trading conditions, but they really need to improve is language support (other languages not so professional as English). In other aspects I’m quite contented with work with them. as far as micro accounts, the account is pretty good, I trade a 1:300 leverage even if the broker offers 1:1000 i think its a bit too much for me, withdrawal is pretty good, the internal transfer between account in wallet can be confusing (or maybe its only me) but once u get the hang of it i think its pretty handy. trading is smooth with good execution time. im happy with my trading, will keep tabs as soon as i upgrade to premium i hope it remains the same. I’ve been involved in transactions in Hotforex long, first time things are good deals, but to date is 04/03/2015 Non-Farm Day win but I’ve traded companies have voluntarily removed Hotforex delivery report my service and send mail notification due to software bugs. After I reviewed and gave evidence that my transaction completely transparent and the company sent a letter asking for compensation amount for me but today 22/06/2015, the company has replied irresponsible, I think the company has deliberately misappropriating the money that I win the day 04/03/2015 transaction but I do not know how to denounce Hotforex and reclaim my rights. I want to send to all transactions with Hotforex trader will need to review the transparency of the transaction and I want to denounce Hotforex appropriates about the transaction amount, I have sent my application to the Office What can help me, because I was in Viet Nam so far can not be directly to the company to complain so everyone please help me and all the evidence I’ve collected sufficient to demonstrate actions companies Hotforex is arbitrarily usurp my money when trading. I have not encountered any issues so far i have been trading for 5 months with 2 withdrawal submitted, a couple of trades a week, surprisingly i find them pretty convenient but i remain cautious. good broker. I Like what im seeing with hotforex, compared to my previous broker which I wont mention. the execution is way faster although there are times that news trading seems to be harder than what It looks like. few slippage which is deemed normal, I trade the UK market and over all Im pleased with the results. I started trading with hotforex from 2012 and through my experience with this broker, it is quite a good and decent broker. I have tried their demo platform in several months before proceeding to a premium account. The spreads are good at majors but just acceptable with exotic ones. They have a program that allow you to trade on multiple account at the same time. Withdrawals are fast and usually processed within 24 hrs but there was a little inconvenient in the past that you have to fill a withdrawal form to withdraw your fund, but now you can withdraw automatically. good execution, quick reply from support both live chat and email, instant withdrawals, usually with in24 hours which I find good. if only they could have more offices in asia. the free webinars is an added plus. Small deposit ($50) and there are multiple assets to trade. MT4 platform is quite good but the demo account would be expired in few months if no trades. Withdrawal is fast and also support multiple languages. This broker is quite good in many aspects. I tried some international brokers before coming to hotforex this March. Spreads are very good with no commissions. Money transfer fast via WebMoney, and my deposit is instant. Furthermore, my EA is running well on its platform. Good broker! I would like to thank the support who assisted me, im sorry if i did not get your name, the broker is professional in dealing with its clients, a very good broker. as far as trading is concerned the platform is stable, execution speed is good, there is still room for improvement. It is time to move on their premium account, by the account of my trading performance and consulting with their manager, trading with bigger lots and getting constant assistance of HF personal assistant I can make a leap to more gains from trades. I was trading only a year on their MIcro account and surely tell readers there that it worth to deposit and gamble market with substancial amounts of money. Glad that I came across with them once time..
I`m very pleased with Hotforex Service, Withdrawal is always on time. – As other well-known brokers, their verification process is fast and you get your bonus after depositing instantly. – Their live server is fast executed than demo a lot and their spread in EU pair always < 1.5 and < 2 with GU pair . Their spread on gold is not good as major pair but acceptable. – Rarely requote, especially during news release. – Not support MT5 but I prefered trading on MT4. Overall, it's a good STP broker. This is my second international broker I knew via a local forex forum, there are a lot of type of account vary from min size to spread for you to choose. And it also offers free TA signals for trader. My EA runs well on its platform and I see it better than my first broker a lot. I have a mid sized account on premium, the spreads are low execution is stable and fast, no issues with money transactions or transfers from account to ewallet. so far i am quiet happy with the results, its not perfect but the distractions is at minimal in my opinion which makes them very competitive. Stable platform and reasonable spreads. Trades is looking well but I still need adaptation to new broker. Had some confusion with web cabinet but problem was quickly resolved. Would like to complain but nothing to bring up. Easy to deal with broker with vast of trading options. Decent spread even on micro accounts, hassle-free withdrawal and mindful support. Still no problems trading with them. Decent broker, good platform and execution, response time it acceptable. I do not use bonuses so its hard to comment about it. Hotforex is a decent broker, I can’t talk on behalf of everyone but based on my personal exp I can safely rate them 8.5/10 since I have only been dealing with them for 3 months. SNOTForex sabotages trades and uses the Virtual Dealer Plugin to trade against you. Beware. Curse and boycott these devils. Thieves. I have a small 4 digit account with them (premium), I have been trading it live for the past 3 months, I have grown my account about 34%% up to date with position trading and few scalps, all these are done manually, I have only made one urgent withdrawal and it came through just fine. i like the results and i am glad to have registered with them. After trying with this broker over 7 months, I found out its trading environtment is very good. It’s offering low spread in EU and offer various kind of account. I still need much more time to check its quality. But firstly I think it’s a prestigious broker. I’m trading with them now for around 2 years, with success 🙂 There were of course some problems and server blackouts during that time but they reimbursed the lost money that was caused due to downtime. I would choose them again. I decide to trade with hotforex after hearing about some good feedbacks from traders I know personally, I decided to transfer with them 2 months ago, so far I am trading a premium account on a 1:300 leverage, no bonuses acquired. Execution is very stable, I scalp the NY session, suitable for scalping the M15 and M30, but I do swings mostly, I only made one withdrawal and it was within the given frame, I have no complaints what so ever. Thank you TradeZone and Octane for posting your facts here. I would like to be part of this lawsuit Octane. Contact me through Trade2Win.com http://www.trade2win.com/boards/members/454778-diggeroftruth.html. 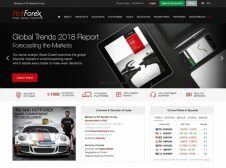 Continue to expose the bound-for-Hell bucket shop thieves like STINKForex (ThinkForex.com) and SNOTForex (HotForex)!! Yeah i ve experience with them. All good review about them is lies. its vote by their own representative. Im filling in the progress filling a lawsuit against them. Dont trust good review about them, they vote themselves. Stay away. Be warned. This are mauritius based company, beware people…hotforex are known for manipulating trade even close your acc. Scammed alot of people already. FSC is not like cftc or others. They are not strict regulating laws. Beware. Scam alert! These bucket shop liars, thieves and beasts will lure you with their 50-100% BONUS Schemes: they are nothing more than bait for the unsuspecting. I have read that they are NOT licensed with the FSC in Mauritius as they falsely state. Furthermore, the FSC don’t even reply to emails sent to file a complaint against SNOTForex!! I traded very successfully through SNOTForex for a few days, increasing my account from under 9000 EUR (including their Bonus Scheme) to over 42,000 EUR. THat’s when the sabotage began. It ended with them breaking their 20% margin stop out safety terms and STEALING THE ENTIRE AMOUNT. I also read that another man had $200,000 stolen by them. BEWARE AND TELL EVERYONE YOU KNOW. Oh, and CURSE them to Hell. really good broker, I swing trade and so far everything goes according to plan. execution is good withdrawals are fast compared to other brokers. I really like them. A very honest broker, I like trading with them and they are easy to deal with, no problems what so ever and it makes earning extra easy. I joined hotforex only two months ago. This broker seems more professional than my previous one. I cannot say anything about withdrawals because I haven’t tried to withdraw my money yet, but I could deposit without any delays. If to speak about trading conditions, I can say that spreads are good, execution is fast. And I like that they have got competitions with good prizes and I have got that info that they got listed by Gbot and they are among the top 21 brokers in the world, I dont really know about this but its really great if it turned out to be true. I have not seen any problem with hotforex since I started trading with them, everything seems to work just fine in addition they recently started to promote their new products heavily and its all good for me and also newbies every body can make some extra money and trade with it thanks to their demo contest, referral program and bullseye prediction competition ! this summer is really hot with hotforex, I at the end want to let everyone know that their customer support is respectable and so friendly. Quick and helpful customer service but they prefer call me rather than live chat and that is what I don’t like. Anyway, I feel comfortable when trading with them.